As the 50th anniversary of the Apollo 11 Moon landing approaches in July, children can now experience the mind-blowing technology and trailblazing science that took humans into space and discover everything there is to know about space exploration today and in the future. Space Race is a comprehensive and richly illustrated guide to the story of space exploration, from the time of the first satellites to future missions to Mars. Annotated photographic feature spreads highlight key spacecraft such as Vostok 1, the International Space Station, the Space Shuttle and the Hubble Space Telescope. Detailed step-by-step features explain the science behind each mission clearly and simply. 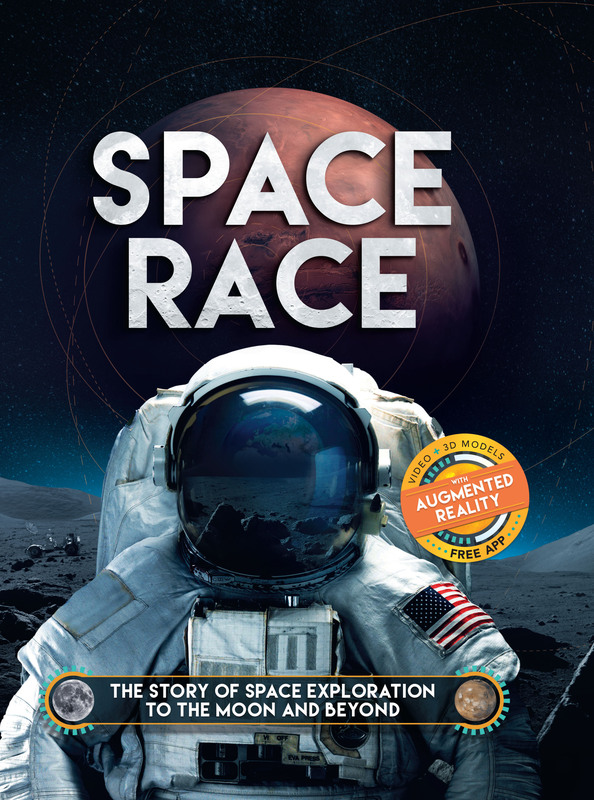 In addition, the book is accompanied by an augmented reality (AR) free, downloadable high-tech interactive app that lets you watch NASA videos on the page and explore 360-degree models of groundbreaking spacecraft in high defi nition. AR is easy to use and doesn’t require special equipment. The app is accessible via both Apple (iOS 9.0 minimum) and Android devices with front and back cameras (using Android 4.0 and above).